Sen. Ed Buttrey, R-Great Falls, and Reps. Amanda Curtis, D-Butte, and Kelly McCarthy, D-Billings, all vied for the nomination of their respective parties. 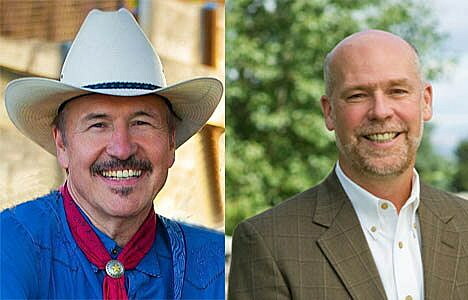 The Democratic nomination ultimately went to to Rob Quist, a country musician from Creston, while the Republican nomination went to Greg Gianforte, who unsuccessfully ran for governor against Gov. Steve Bullock last year. With Lhe legislature intact after transmittal break, lawmakers will now focus on closing out the remaining half of the session, amending the state budget and making decisions about all surviving bills. With thousands of child abuse investigations occurring every year in Montana, and abuse-related deaths occurring across the state, the Montana House of Representatives passed a bill last week that would create a review commission for cases of child abuse and neglect. 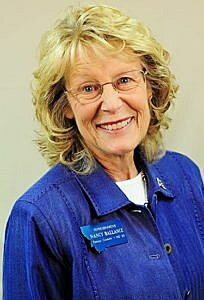 House Bill 303, introduced by Rep. Kathy Kelker, D-Billings, would establish a committee consisting of 14 people appointed by both the state attorney general and the governor. “A review commission would provide basic information about the facts of real cases,” Kelker said. Outlining the commission’s duties, she said the commission would examine child abuse trends and would educate about abuse prevention and intervention. She said the program would be funded through federal grant money. The bill earned bipartisan support. Rep. Nancy Ballance, R-Hamilton, and Rep. Jenny Eck, D-Helena, both said the bill was an important priority. The bill drew no opposition during its committee hearing in late January. “I honestly think this is the most important thing that any of you could do in terms of preventing child abuse and neglect fatalities in this state in the future,” said Sarah Corbally of Healthy Mothers, Healthy Babies. Kelker said the bill was especially important to her because of an experience she had as the Director of Head Start in Billings, when she met a suicidal 4-year-old girl who was later found to have been severely abused. “The time has come to put these children first,” Kelker said. The bill passed the House 96-3. It now moves to the Senate. The House Taxation Committee heard a bill last week that would raise a tax on hotels, in part to help fund the emergency response against invasive species in Montana’s waterways. Introduced by Rep. Mary Ann Dunwell, D-Helena, House Bill 567 would increase the sales tax on for-profit campgrounds and hotel accommodations from 3 percent to 6 percent. Half of one percent of the revenue generated would go toward the invasive species response. “This makes sense to me, as a revenue source,” Dunwell said. Dunwell said 40 percent of individuals who utilize Montana’s hotels and campgrounds are from out of state. She said because the invasive mussels also came from out-of-state boats, it makes sense to tax an industry heavily used by people who don’t live in Montana. Dunwell said the Aquatic Invasive Species Response team informed her that the six-figure allotment from this tax would be enough to match federal dollars for cleanup. She also said the tax would generate an additional $33 million by Fiscal Year 2021, which she said would help generate revenue to fund programs facing cuts in this year’s proposed budget. “This bill is an opportunity to invest in Montana families and communities, and restore the extreme cuts that are being made to our budget right down the hall in House appropriations,” Dunwell said. Sen. Sue Malek, D-Missoula, supported the bill, saying she understands the lodging industry may feel singled out by HB 567, but that the increase in revenue could help aid everything from Medicaid to long-term care. Opponents of the bill argued that because the bill would put revenue into the general fund, there was no guarantee it would go toward funding the programs Dunwell cited as critical. “I want to see money come into the aquatic invasive species, but I don’t want to see it being used to help a huge increase into the general fund,” said Bob Gilbert, representing Walleyes Unlimited of Montana. Others said increases in taxes were unnecessary due to projected revenue increases. A bill that would incentivize shopping for health care services and provide increased transparency in pricing drew testimony in the House Human Services Committee last week. 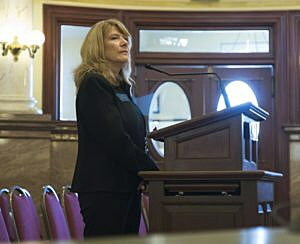 The Senate passed Senate Bill 96, introduced by Sen. Cary Smith, R-Billings, 34-16 in late February. It would require health care providers and insurers to tell a patient the cost of a treatment beforehand. It would also give patients a financial incentive to find cheaper treatments. Four people supported the bill at the House hearing last week, all of whom said transparency was necessary in the face of rising health care costs. “The bill empowers consumers with the transparent information they need,” said State Auditor Matt Rosendale. Rosendale admitted he thinks the bill “doesn’t go far enough,” but added that he was willing to make concessions. “I think they should be able to go online and get that information,” Rosendale said. The bill also drew 15 opponents. “It actually incentivizes care fragmentation, which has been proven to drive up the cost of health care,” said Jessica Rhoades, Democratic Gov. Steve Bullock’s health policy advisor. Rhoades said it is more important for hospitals and insurance agents to pursue joint partnerships to prevent errors that come from referrals and other forms of fragmentation. Other opponents said they did not take issue with the notion of transparency, but had problems with certain language issues in the bill. “This is a little bit of a work in progress,” Smith said, suggesting that further amendments would be made to the bill. The House committee didn’t take immediate action on the bill. The House Agriculture committee heard a bill last week that would prevent local governments from regulating agricultural and vegetable seed. Senate Bill 155, introduced by Sen. Mike Lang, R-Malta, would only allow the state to set regulations on seed sale and production. “My only resistance to local government support is when it jeopardizes private property rights,” Lang said. The bill passed the Senate 33-17 before moving to the House. Lang said seeds account for $2.8 billion of Montana’s agricultural revenue, and that seed operations often cross county lines. He said the bill would prevent counties from restricting what types of seed may be planted. Many of the bill’s supporters said they wanted to prevent additional regulations on the agriculture industry. Jacob Baum, representing the Montana Seed Association, said because small areas can often yield large amounts of seeds, a local government deciding to regulate against a particular seed could be disastrous for the market at large. Opponents of the bill argued the problem doesn’t exist. Adam Haight, representing the Northern Plains Resource Council, said local legislation allows communities to better protect themselves against market concerns about genetically modified products. He said scares about GMOs have the potential to drastically affect overseas wheat markets, and that local legislation could help prevent this. The committee didn’t immediately take action on the bill. The Senate Judiciary Committee tabled two bills last week that would have criminalized abandoning a rental property without notifying the landlord. Both bills were introduced by Sen. Roger Webb, R-Billings. Senate Bill 239 would make abandoning a rental without notification theft, while Senate Bill 255 would require those individuals who fail to notify the landlord to register with the court that issues the judgment. Neither bill drew any supporters at the hearing. Opponents of SB 239 said the bill would criminalize civil debts and overburden the legal system. “This bill, if passed, would result in the reestablishment of debtor’s prisons, which were abolished in this country about 200 years ago,” said Amy Hall, an attorney with the Montana Legal Services Association. Hall said the bill would allow landlords to pursue criminal charges against tenants who may break their lease and move out of the property without notification for a variety of legitimate reasons. She said landlords who fail to maintain their rental property would be able to pursue theft charges against a tenant who moved out due to poor living conditions. “Of course, the tenant should pay the rent, just as a landlord should apply with a landlord’s obligation to make repairs,” Hall said. Others took issue with the notion of turning a civil dispute into a criminal offense. Opponents of SB 255 said requiring defendants in rental claims to register with the court would unnecessarily overburden the legal system. Greg Mohr, representing the Montana Magistrates Association, said courts currently have no mechanism by which to allow for the collection of civil judgments for landlords. Mohr said creating this system would cost tens of thousands of dollars.